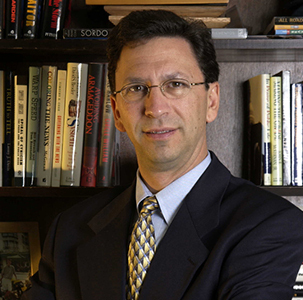 Frank Sesno is an Emmy award-winning journalist, anchor, White House correspondent and talk show host with CNN. With more than 30 years of journalistic experience, Sesno serves as Director of George Washington University’s School of Media and Public Affairs. In his Conversation Series, Sesno has interviewed prominent global public figures such as Bill Clinton, Ronald Reagan, Jimmy Carter, Margaret Thatcher, Yasser Arafat, Hosni Mubarak and Hillary Clinton.